Our weekly, 45-minute mixed-age family classes include songs, rhythmic chants, movement, instrument play, and of course lots of fun! These activities are presented as informal, non-performance-oriented musical experiences--developmentally appropriate for children and easy for parents and caregivers, regardless of their own musical ability. Two CDs, an MP3 downloadable version of the song collection, a Songbook, a new family music development booklet, a Music Together® growth chart, and access to the Music Together Family Music Zone and free Hello Everybody app are included! Our Music Together Generations class is similar to our regular mixed-age class but will be held in an independent living facility for seniors. Our goal is to bridge the generation gap and create joyful connections between the children, their caregivers, and the elders through music. Our Music Together Babies class is similar to our mixed-age family class but is specifically intended for families with non-mobile infants from birth through eight months. 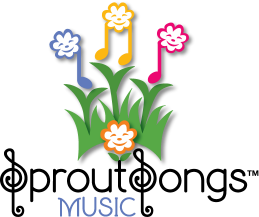 It is a one-semester introduction to Music Together and to early childhood music development. After this one semester, the babies move up to a mixed-age class. When Available, eight weekly, 60-minute Music Together Guitar for Grown-ups classes will begin the third week of our regular ten-week session so that parents will have the opportunity to hear the current semester's music first. No guitar experience is necessary. Attendees will receive a guitar workbook, but must bring their own guitar, capo, and tuner. This is the essential Music Together class, one that a child can attend from birth to age four through all nine song collections. This basic class follows the recommendations of child-development researchers- grouping children of a variety of ages because this fosters natural family-style learning. Younger children enjoy watching and imitating older ones; older children learn by leading younger ones; and adults are happy because the children in the family can go to class together. Each child participates at his or her own level in singing, moving, chanting, listening, watching, or exploring musical instruments. Any caregivers- parents, grandparents, nanny- can bring the children. The whole family is welcome for this important family music experience. Music Together Guitar class for Grown-ups was designed for parents and caregivers of children currently enrolled in a Music Together class. In this class you will learn basic guitar technique and how to play selected songs from the current song collection so that you can make even More beautiful music at home. This class is good for beginners, good for people who know a little guitar, and great for people who already play some Music Together songs! The class will be a relaxed night out with other parents of small children. Participants need to bring their own guitar, capo, and tuner. The class consists of 6-8 adults and the tuition includes a guitar workbook and 8, 60-minute classes. This is a mixed-age class (birth to 5) that takes place at an assisted living facility and includes the residents at the facility. These classes create a joyful connection among generations and engage the residents' minds and bodies. They are also beneficial for helping the elderly participants to stay mentally and physically alert and stir up cherished musical memories. The classes inspire the facility staff members to weave music into every day interactions with the elders. Sproutsongs Music families also benefit from the weekly interactions with the residents, who become an extended family to our Sproutsongs Families. Each weekly 45-minute class includes songs, chants, dancing, and instrument play. The residents are invited to sit in a circle around the Sproutsongs families and participate in any way they are able and join in on the fun and music making. In addition to receiving a songbook and 2 CDs, enrolled families will receive a code to access Music Together's Family Music Zone. There, you'll be able to download the songs from the current song collection, in addition to exploring fun content created just for you. To access the Family Music Zone, parents will create an account at www.musictogether.com/account using the code found on the inside back cover of the CD booklet. The Music Together Babies class is for families with non-mobile infants from birth through eight months and is a one-semester introduction to Music Together and to early childhood music development. After this one semester, your family will enroll in a mixed-age class. The music activities in a Babies class are specifically designed to teach parents how to support music development in infancy and how to connect with their infants through music, using concepts like “purposeful touch,” “sound layering,” and “dancing for baby.” You will meet other parents of newborns and learn some engaging musical activities that you can recreate with your baby at home. Copyright © SproutSongs Music 2010. All rights reserved.